Let your potential customers see your ads on whichever sites they visit. Targets old website visitors through google ads remarketing display campaigns. Google Adwords Display campaign helps you target your prior website visitors through remarketing campaigns/display advertisement. If we go through the statistics, over 90% of visitors do not buy the products/services on their first visit to the website. Here is how remarketing can help you persuade the visitors: Anyone who visited your website before and did not act (Not Submitted Enquiry/Purchased/Called) or Abandoned Shopping cart will see your product or service ad wherever he goes. We have a team of highly experienced and Google certified professionals who can help setup and optimize your display and remarket the campaign to boost your overall conversions. Google Display Network reaches 92% of all internet users through millions of websites, devices, and videos. Through Google Adwords Remarketing Campaign, you can reach to your previous site visitors/buyers and boost your conversions. For the startup, we just target everyone who viewed your home page. Though this increases your remarketing cost a bit but we further break it into small ad groups by theme. For example New Visitors, Visitor to a Particular page/product, Visitors who added products in a cart but did not purchase and visitor who purchase but you want to show second purchase offers. 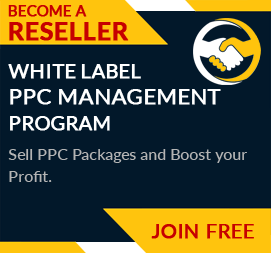 It really works wonders, reduces your overall costs per sale/query and improves your overall conversions. We have been associated with PPCPapa for some time now and we have witnessed a drastic change in our website’s traffic. Their remarketing and retargeting services have helped us generate maximum profits in the course of time.